Abigael Collins received her Master of Science in Speech-Language Pathology from Emerson College in Boston, after graduating with a Bachelor of Arts in Psychology from Syracuse University. She holds a Clinical Certificate of Competence in Speech-Language Pathology from the American Speech-Language-Hearing Association, as well as a license in Speech-Language Pathology from the Commonwealth of Massachusetts. She became interested in the field of speech-language pathology while teaching preschool-aged children with behavioral, developmental, and autism spectrum disorders using Applied Behavior Analysis (ABA). 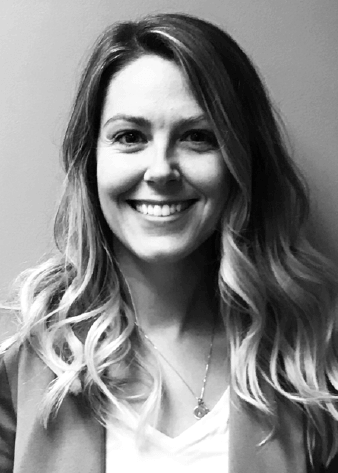 Abigael has experience in assessment and treatment of a variety of disorders, including childhood apraxia of speech, speech sound disorder, receptive and expressive language disorder, autism spectrum disorder, and attention deficit hyperactivity disorder. She has a special interest and experience in working with children with feeding and swallowing disorders, including increasing oral feeding to wean from reliance on gastrostomy and nasogastric tubes, improving sensory tolerance, developing chewing skills, increasing variety and volume of nutritional intake, and reducing avoidance behaviors during mealtimes. In her free time, Abigael enjoys yoga, traveling, and watching football.